What sorts of mathematics competencies must teachers have in order to teach the discipline well? This book offers a novel take on the question. Most research is focused on explicit knowledge–that is, on the sorts of insights that might be specified, catalogued, taught, and tested. 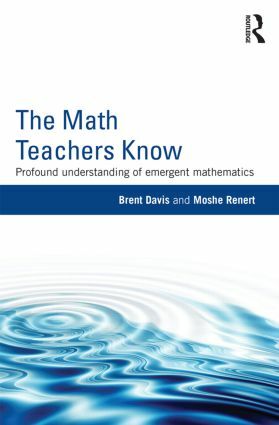 In contrast, this book focuses on the tacit dimensions of teachers’ mathematics knowledge that precede and enable their competencies with formal mathematics. It highlights the complexity of this knowledge and offers strategies to uncover it, analyze it, and re-synthesize it in ways that will make it more available for teaching. Emerging from 10 years of collaborative inquiry with practicing teachers, it is simultaneously informed by the most recent research and anchored to the realities of teachers’ lives in classrooms.